I was introduced to author Michael Brookes through one of his horror stories. He is an excellent writer, and he was doing something on his website I’d never seen before: Drabbles. Little did I know that Michael and I would become friends. Through him, I met Jonathan Hill, the king of drabbles. 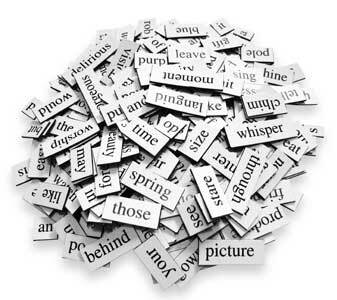 He has written many books, among them 100 One Hundred Word Tales and Beyond One Hundred Drabbles. As I read both of Hill’s books, I became a huge fan. His stories run the gambit of emotion from hysterically funny, to sad, to make-your-blood-run-cold, to better-look-over-your-shoulder, to make-you-stop-and-think. With Jonathan’s encouragement, I began to write drabbles on my book blog. I’ve written thirty-five to date. It’s challenging work– you need to tug at the heartstrings or inspire terror in a short time to really pull off this kind of writing. 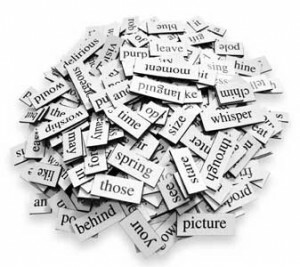 It’s also a great exercise in editing, in getting to the heart of what you’re trying to say by trying to say it in as few words as possible. You could even use it as a tool when writing a short story or novel– first create a drabble as an exercise to figure out the core of your story. And, as with almost anything, the more you do it, the better you become. I encourage you to give it a try. (Note to writers age 12-22: see Germ’s Week One Writing Challenge to submit your drabbles!) But beware: drabbles are like potato chips. You cannot write just one. she can count on what he says, going to work and coming home. on him. With all the arguing lately, she is looking forward to a one-person slumber party. She looks at the snowfall again. The phone rings– he will not be working. She is happy and sad. Melissa Grabowski, or “Mollydee” as her friends call her, is a Registered Nurse who had to stop working due to medical reasons. She was not able to read for fourteen years because of her medications, which made her lose focus and concentration. Last June, she was blessed with getting better, and was able to read once again. This led to blogging and meeting many wonderful authors (such as Jennifer Niven!). When she is not reading or blogging, Mollydee is working on her own book. 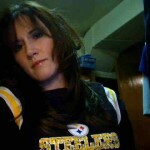 She has been a Steelers fan since the age of eight, loves the winter, keeps a garden in the summer, and loves crafts. She has been married for thirteen years to the best man in the world and hopes to return to Nursing one day. … is a contributing guest author for Germ, which means the following criteria (and then some) have been met: possessor of a fresh, original voice; creator of fresh, original content; genius storyteller; superlative speller; fantastic dancer; expert joke teller; handy with a toolbox; brilliant at parties; loves us as much as we love them.